Take the previous high and low, increase the diameter by a radius length. Yes Naveen. Out of the 2nd xabc formation, wave a ended at 8620 levels.Thereafter wave b down had started. Currently we are in wave a of b. This seems to have completed at around 8272 levels. Then on, b of wave a is on.I expect wave a itself to be completed by December 20-24 .At that point it should be either at 8179 or 8074 depending on severity of wave c of a. 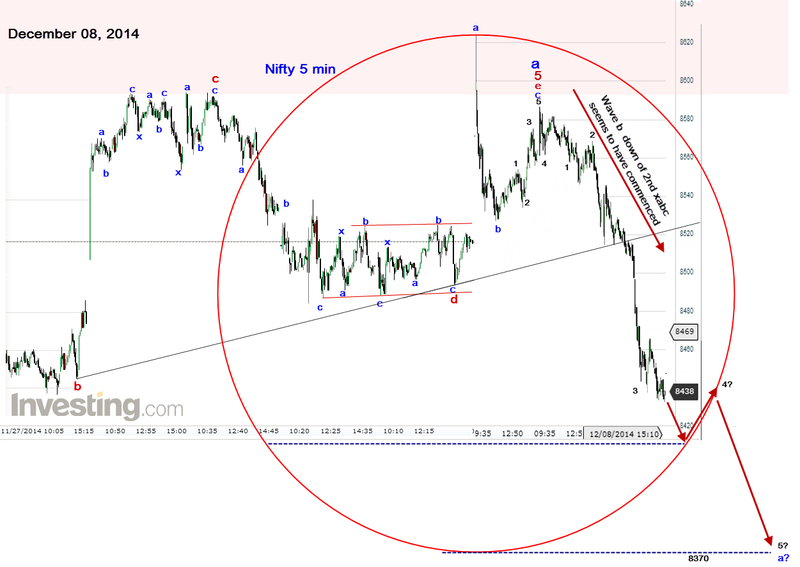 That will be a fine buying point for a larger wave b of b to unfold. THE EQUICOM PREMIUM CALL: SELL WOCKHARDT PHARMA FUTURES BELOW 1018 TG-1012/1003/990 SL-1031 . Visit our website for more details about us.